Vote in Journal Poll: It Takes Only a Second . . . . . 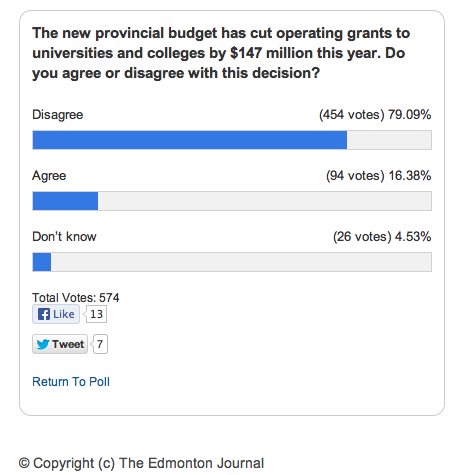 This entry was posted in alberta budget 2013, alberta funding for post-secondary education and tagged edmonton journal poll alberta budget. Bookmark the permalink.